Hi there! I've been keeping another secret that I have been dying to share with you guys! ;) We have had so much fun with the Halloween Mystery Quilt, that we decided we needed to continue the fun with a Christmas Mystery Quilt! 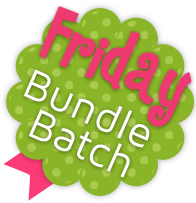 It is 36" x 36"
We have kits available - with backing and binding INCLUDED. You don't have to "sign up" to join in - just check the blog every Thursday starting October 12 - to download the pattern for that week. This Sew Along will last five weeks. You will finish with plenty of time to have it ready for Christmas! I will include a PDF download each week so you can easily print off the instructions for each block. 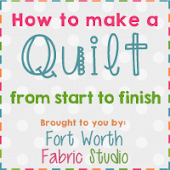 Skill level for this quilt is a confident beginner - this quilt is traditionally pieced. 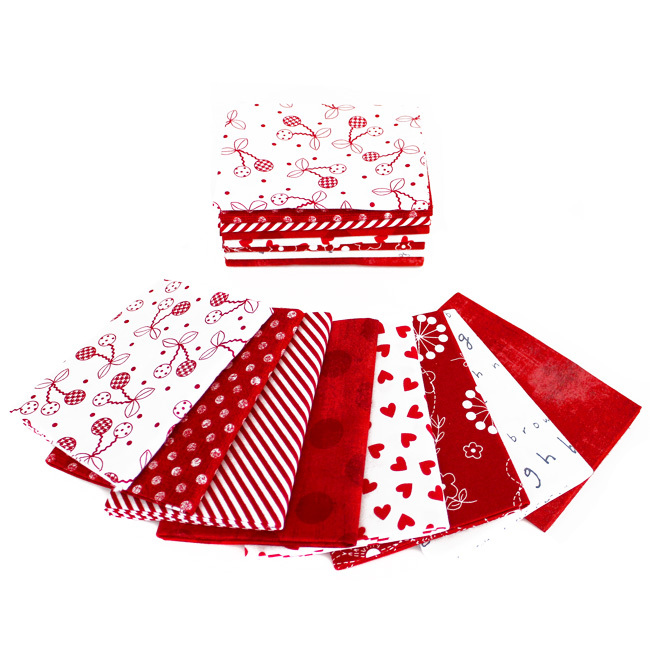 Each kit includes all the fabric you need to complete the Mystery Quilt - which INCLUDES backing and binding!! How awesome is that?! Everything you need, all in one kit! 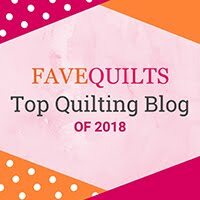 I had never participated in a sew along or mystery quilt until the Halloween Mystery Quilt. I have really enjoyed making it. I love the fabric selections and have loved the anticipation of the next block. You have created a monster... I'm off to buy the Christmas Mystery Quilt kit right now! Marlenemc - So glad you are enjoying the Halloween one!! It is kind of addicting isn't it? I'm so happy that you are going to be joining me for the next one - I think you'll really love it! I'm enjoying the Halloween quilt along and am looking forward to the Christmas quilt along. :) Thanks. Enjoying the mystery sew along. Keep them coming. Very exciting!!! Can't wait to get started. I love a mystery series. Just finished downloading your Halloween mystery-its adorable! I hooe to keep up with your Christmas mystery! Are fat quarters sufficient, or am I jumping ahead? Thank you for sharing these fun, doable projects! I am looking forward to the mystery. Can't wait......fabric will be here on Thursday! I cant get my peppermint pinwheel to work. when I sew the white squares on there isnt enough of an overlap. where they overlap is right at the edge instead if 1/4 inch in so when I join two together the point is lost. I have checked my cut sizes are accurate accoring to the cutting instructions and also that my seam allowance is 1/4 inch. What am I doing wrong? 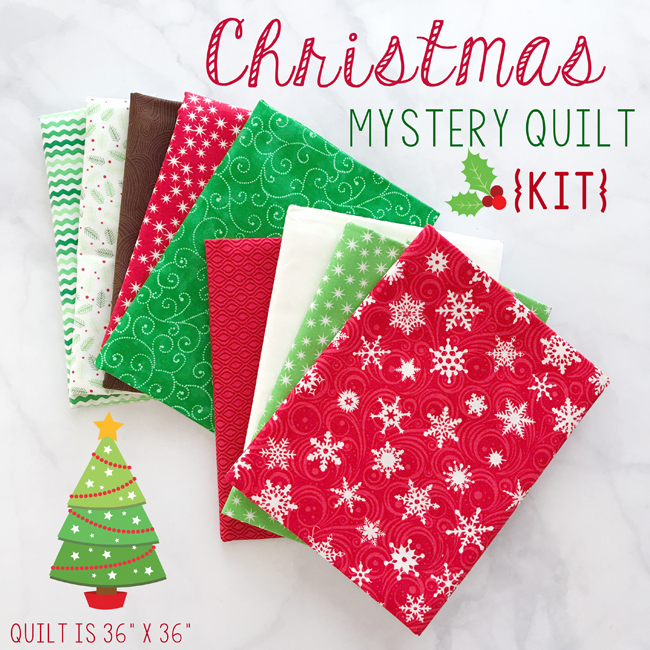 Will the kit for the Christmas Mystery Quilt kit be available again as I am just now seeing this and would love to make it. It looks like an awesome project. Do you have any more kits? If so, what is the cost?